Edward was born in 1905. Edward's father was Martin Flanagan and his mother was Mary Murphy. 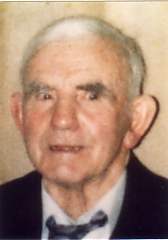 His paternal grandparents were Patrick (Patt) Flanagan and Bridget (Biddy) Fahy; his maternal grandparents were James Murphy and Cecelia Crowe. He had eight brothers and four sisters, named Patt, James, John, Martin, Thomas, Michael, Antony, Michael, Bridget, Celia, Mary Kate and Norah. He was the fifth oldest of the thirteen children. He died at the age of 83 on February 3rd, 1988.